John Houston Dunbar Wooldridge was born in 1856 in Texas. Samuel Dunbar Wooldridge and Catherine Elizabeth McCan appeared in the US federal census of 1 June 1860 in Montgomery County, Texas. Other members of the household included John Houston Dunbar Wooldridge, Edmond Daniel Thomas Wooldridge and J. W. B. Thomason. Samuel Dunbar Wooldridge and Catherine Elizabeth McCan appeared in the US federal census of 1 June 1870 in Danville, Montgomery County, Texas. Other members of the household included John Houston Dunbar Wooldridge, Edmond Daniel Thomas Wooldridge and Maude E. Wooldridge. Also in the household was a domestic servant and her family. 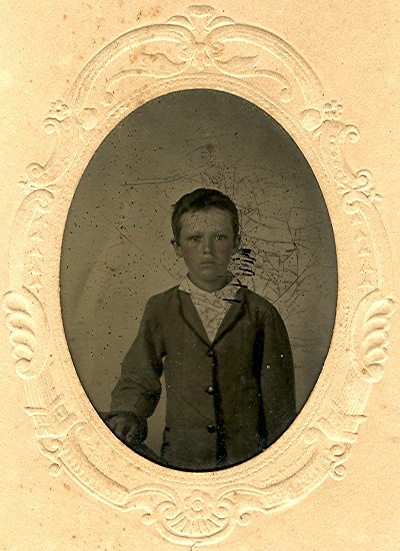 Samuel Dunbar Wooldridge and John Dickey appeared in the US federal census of 1 June 1880 in Willis, Montgomery County, Texas. Other members of the household included John Houston Dunbar Wooldridge, Maude E. Wooldridge. Also in the household was Kate Karber, age 6, identified as a niece, and one female domestic servant. He married Susan Lewis Fullenwider say 1881. John Houston Dunbar Wooldridge died in 1916.